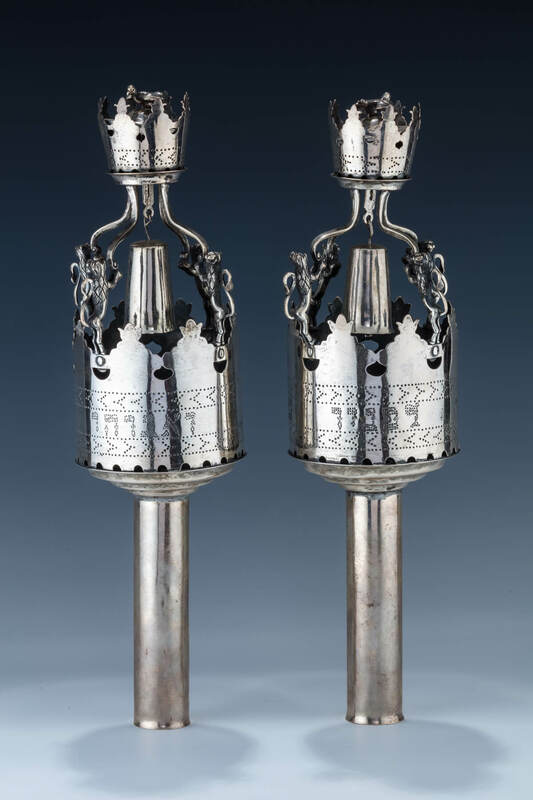 Poland, c. 1840 On round staves with round bodies. Topped by four rampant lions each holding up stem that attaches to a crown. 13.3” tall.